The service will likely be offered through Amazon Prime, which is available for a $79 annual fee, providing two-day delivery on all purchases and access to online film and television shows on demand. That sounds like an unbeatable price if it stays the same even after this service is added on. The traditional book industry is already headed into hot water, so there is understandably controversy over whether or not this will actually help or harm publishing companies. It is believed that Amazon is offering publishers a large fee as incentive for joining the service. Netflix has proven to be a successful bump in the movie rental industry, so if Amazon follows a similar business model they could be in for a successful future. While some publishing executives believe this would downgrade the value of a book, digital books are already outselling print books on Amazon, so it may not have as much of a negative effect as some anticipate. If Amazon comes out with a book lending service, will you be interested? 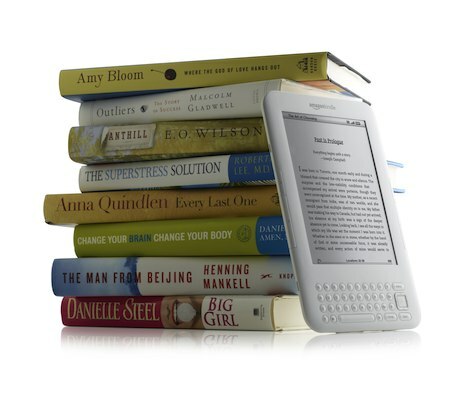 Are you already using an e-reader or are you still stocking a bookshelf? Well this may be news but “Similar to what Netflix has done for movies” is terrible English. How about “Similar to Netflix with movies” or any other of half a dozen decent constructions which present themselves? Schoolboy error. Thanks for your concern over the English language. What do you think about Amazon’s potential offering?